WHY DO CALGARIANS CHOOSE HARMONY OUT OF ALL THE HVAC COMPANIES AROUND? At Harmony Heating & Air Conditioning our number one priority is you! We were founded on a mission to change the way home and business owners viewed HVAC technicians, through honest, transparent, reliable customer service. We always strive to leave our customers happy, and this is demonstrated by the number of 5-star reviews we have received on Google, Facebook, Homestars, and through the Better Business Bureau. We never forget that our customers are our most valuable and important asset. 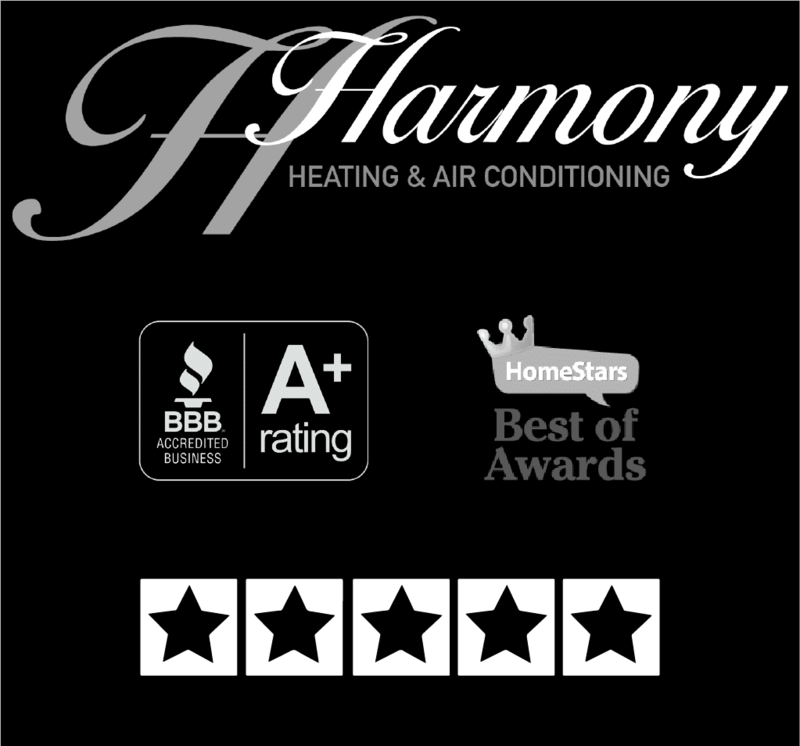 The team at Harmony Heating & Air Conditioning is always here for you to ensure your comfort & life in Harmony. With extensive experience in planning, managing and executing mechanical projects of all kinds, you can count on our professional team of heating, cooling, plumbing, and gas-fitting technicians to work within your requirements and stay on the job until complete. We are known for being polite, friendly, and always cleaning up after ourselves too! When your family or business is faced with a heating or air conditioning emergency, trust our knowledgeable and dedicated staff to take care of you like “our own mother” as one happy customer shared. Our company mandate is for all our customers to be satisfied with the services we provide, ensuring their comfort is always our top priority and you can read more reviews from our customers here, and leave your own too!